Up until fifth grade, Emma has been home-schooled, but now she is going to start attending public school. She is conflicted between fear and excitement by the prospect. Her fear is mitigated on the night before the first day by a new addition to their household – a stray rabbit that she has rescued. Public school is a hard transition for her. It’s hard to make friends when everyone knows everyone else. She finds herself alone with Jack, an autistic boy with an obsession with animals. He’s nice, but Emma worries that being friends with him will drive others away. She doesn’t want to lose out on making other friends just because of Jack. 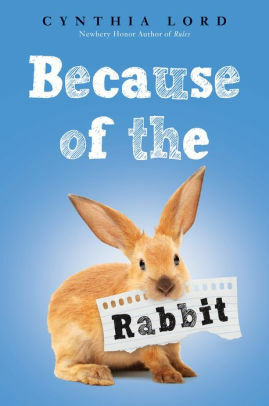 A nice compact story about rabbits, friendships, and taking risks. It’s not a terribly eventful story, but it is packed full of rabbit facts (which animal-loving readers will enjoy) and it has a nice unobtrusive introduction to the autism spectrum. Nothing too strongly in your face, but enough to make the reader curious about what makes Jack the way he is.